Product prices and availability are accurate as of 2019-04-15 20:52:01 UTC and are subject to change. Any price and availability information displayed on http://www.amazon.com/ at the time of purchase will apply to the purchase of this product. Top Coat, Base Coat, and Crack Highlighter sold separately. The Polyvine Craquelure System produces a cracked varnish effect for a traditional aged finish. 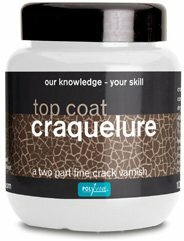 By using a simple two part (base coat and top coat) clear acrylic system this varnish faithfully reproduces the regular crazed pattern associated with old porcelain glazes. 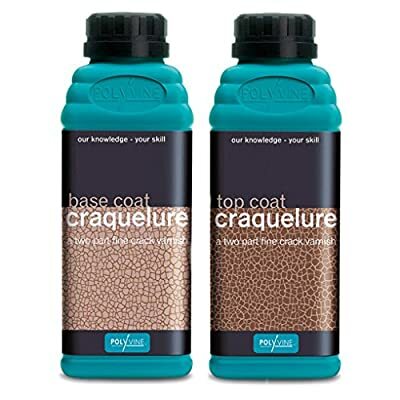 Please note that you need to buy both the base coat and the top coat to create the effect. 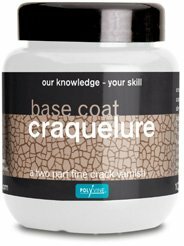 The crackle effect produced by Craquelure can be accentuated with a crack highlighter which is available in either white or dark brown for a truly aged finish.